The stems of our essential Waitrose cotton buds are made from FSC sourced paper and are biodegradable. 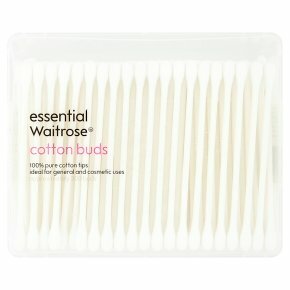 essential Waitrose cotton buds. approximately 200 buds. made with 100% soft, pure cotton tips making them ideal for the whole family to use. Keep away from babies and children. Cotton buds should not be inserted into any part of the ear or nose canal.